This weekend was semi-productive. I didn't tackle my project list as eagerly as I had planned. But we got a few things done. We know it was working at Scott's work because he plugged it in to verify that it did. 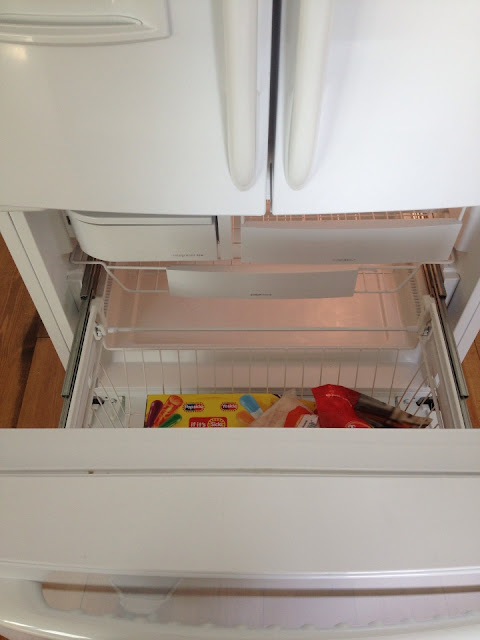 We read that if you do lay a fridge down you need to wait 24 hours before plugging it in so as not to break the relay (or something like that). 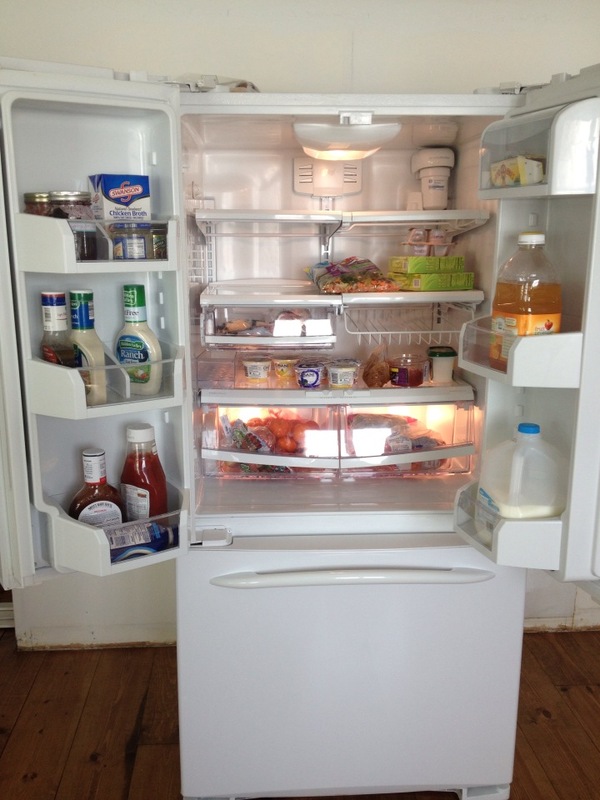 I called a local appliance repairman to come to our house and look at the fridge. He said the relay was fine. (he also said you CAN lay a fridge down but to wait 24 hours before plugging it in). He said the compressor was fine. He was 90 percent sure it was out of freon and there was probably a leak some where. It would cost $600-$700 to fix. It was not a good day that day. So I did what any desperate mother of four with no indoor fridge and a very, very tight budget would do. I went back to Craig's List. And I found an even more beautiful fridge. 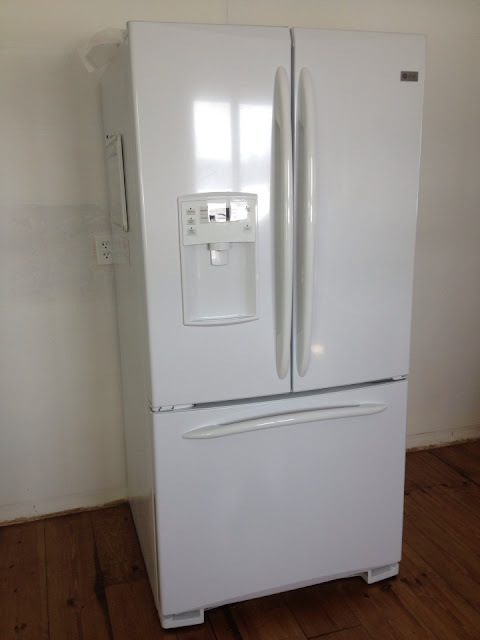 A GE white bottom freezer fridge in the Grand Rapids area for $650. I emailed to ask if it was still available. It was. It was only two years old. Everything works great. They were remodeling and wanted a different color for their appliances. Score! And we laid it down to transport it! And it works. It has water on the outside of the door and an ice maker in the bottom freezer. I'm in love. It is so nice to have a fridge in the house!